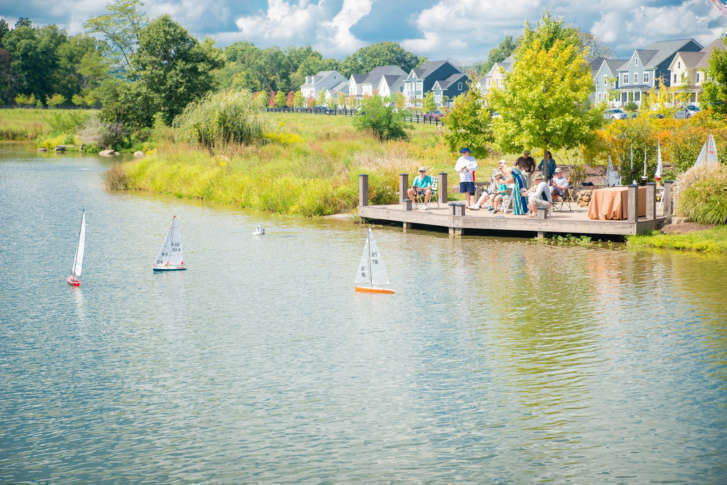 A residential development in Ashburn was the only planned community in the Mid-Atlantic or Northeast to crack the top 20 on a list of best-selling master-planned communities. WASHINGTON — Willowsford, a 4,000-acre residential development in Ashburn, Virginia, built around a working farm, cracked the top 20 on a list of best-selling master-planned communities. Real estate consulting firm RCLCO Real Estate Advisors ranks Willowsford No. 18 on its annual list, the only planned community in the Northeast or Mid-Atlantic to rank in the top 20. Called an “Agri-hood,” Willowsford was developed in 2011, and includes 2,000 acres of open space, a 300-acre working farm and farm-to-table culinary program with a culinary director, pop-up restaurants, visiting chefs, demonstration kitchens,a farmers market, more than 40 miles of trails, pools, fitness centers and a seven-acre lake. Cooking classes include a Junior Chefs Academy and a summer farm camp for kids. The farmers market, or Community Supported Agriculture, also is open to the public. The community includes four “villages,” and nearly a dozen builders include Pulte Homes, Camberley Homes, and Ryan Homes. Single-family home prices range from about $600,000 to about $1.5 million. There were 473 home sales in Willowsford in 2017, a 56 percent increase from the 303 sales in 2016, according to RCLCO. “It has been six years since Willowsford first opened and the community has certainly hit its stride,” said Stacey Kessinger, vice president of marketing at Willowsford. Willowsford has had 1,385 home sales to date, with about 800 remain to be sold.